Just imagine the racket this pair are making! 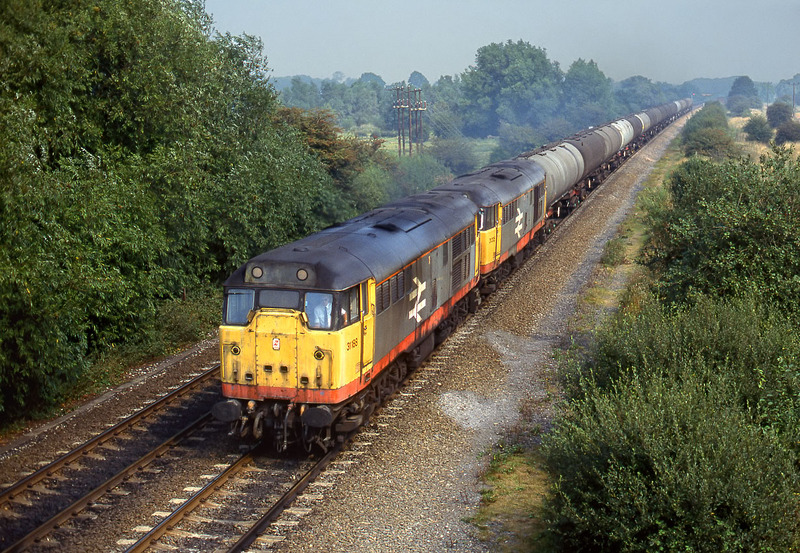 31188 & 31205 pass Clay Mills (Hargate) on 4 September 1991 with the 6M57 09:48 Humber to Kingsbury oil tanks. Although this pair look a bit scruffy, most of the times that I photographed 31s on this working they looked a good deal worse. Although whenever I used to visit this location in the 1980s and early 1990s it was always referred to as Clay Mills, nowadays it seems to be known as Hargate, after a former signal box, but you trying finding any mention of Hargate on the OS map!